The doctor was everything I dreamed of and more. The coordinator Eugene Nazarenko was always on time and very accomadating. The Neurology Department in Asclepios Hospitals is certified as the Interregional Center for Rare Neurological Diseases. It specializes in the treatment of brain tumors, stroke, multiple sclerosis, polyneuropathy, epilepsy, Parkinson's disease. Annually, the clinic treats 1,200 patients suffered an acute stroke. Consultative and consulting consultation boules on the most promising. Lіkar Antonio Russi is a professional in his own right, a wonderful diagnostician. Doctor Antonio Russi was very attentive, prescribed treatment. And Bookimed has organized all the events clearly, comfortably and attentively. Thank! I am definitely satisfied with the Bookimed service. Everything was organized at a high level. Assistance was provided that was not even covered by the contract. Comprehensive assistance was provided at any time. Quick and easy. Very nice. We could not determine the type of seizures and make a diagnosis, only one doctor made the correct diagnosis from many doctors we visited earlier. Only we entered, and after a couple of minutes the diagnosis was made. By MRI, the doctor immediately determined the source of the attacks We received recommendations for monotherapy. A very competent and intelligent doctor. I think we are now on the right path. The most important warm and attentive attitude to us during the reception. We are very pleased with the visit. This is, first of all, the merit of the coordinating doctors Cyril and Darya. THANK YOU VERY MUCH !!! !!! It is good that there are such obligatory, sensitive and responsive people like them! Young and so responsible. I want to thank the translator-coordinator Alesyu. Thanks for her help. And Katerina, too, thank you very much. Didn’t leave us unattended, it really helped. I think that now we have every chance to recover. All 4 years of our treatment have so far been unsuccessful. I want very much to hope that Dr. Antonio Russi will help my son cope with this ailment, because my son cannot even go out on the street, immediately get on the attack. I believe that the doctor will help and be able to return my son to a full life. For he is only 18 years old and he has a whole life ahead. Amen !!! The Department of Neurology at the Teknon Medical Center (Barcelona, Spain) specializes in the diagnosis and therapy of the brain, spinal cord, and central nervous system disorders. The Department treats Parkinson's disease, trigeminal neuralgia, multiple sclerosis, craniocerebral trauma. The treatment of epilepsy in Teknon is carried out by specialists of the Institute of Epileptology Dr. Antonio Russi. The Сlinic conducts MRI of the brain and spinal cord, video electroencephalography for several days, pharmacogenetic testing to determine the reaction of the body to drugs. The medical center offers essential tremor treatments from $79200. The treatment cost depends on procedures required and condition complexity. The average hospital's ranking 4.6 according to 86 patients reviews. The travel arrangement takes 8 days. The medical center provides a patient with paid airport-clinic transfer, paid clinic-airport transfer and translator. Submit a request on Bookimed website and get the essential tremor treatment cost in Spain and other countries. LIV Hospital Group consists of multi-specialized Turkish hospital with two divisions of LIV Hospital Ankara, and LIV Hospital Istanbul (Ulus). Both of them are smart hospitals of new generation with all the medical technologies available in the world: da Vinci robot-assisted system for the surgeries, MAKOplasty for knee replacement, YAG Laser for vascular surgery, virtual angiography for cardiac diagnostics, etc. In 2016, LIV hospital had the best success rate among all Turkish hospitals. Three LIV centers are entitled as the Centers of Excellence. Good afternoon. Many thanks to the treating doctor Kazlauskienė for their professionalism and kind attitude towards the patients, the doctor has established the correct diagnosis! We are very grateful to her. Also many thanks to coordinator Dmitry Belik, who organized our visit to the doctor. He was always in touch, and thanks to him, we did it! Thanks again! Dr.Hausen was great! She gave us a lot of attention, listened to our problem carefully, examined our medical reports and gave us a lot of information for our problem and suggested solutions and ways of improving my father’s quality of life! The Neurology Department of Vienna Private Clinic specializes in the diagnosis and treatment of diseases of the nervous system. Doctors treat Parkinson's disease, multiple sclerosis, stroke, Alzheimer's disease, epilepsy. Neurological rehabilitation is conducted out on the basis of the Clinic. How much does essential tremor treatment cost ? Doctors calculate the cost of essential tremor treatment individually for each patient. The price depends on the disease type, complications (if any), hospital's reputation, and doctor's experience. You may get the final essential tremor treatment cost only after complete diagnostics and consultation with a doctor. The average cost of the consultation is $190. The lowest price is $20 and the highest — $580. The average cost of essential tremor diagnostics is $1400. The lowest price is $790 and the highest — $3250. The average treatment price is $41600. The lowest price is $16000 and the highest — $100000. My brother has epilepsy .. Without a doubt, the Ichilov clinic is an excellent choice for examinations and treatment of various diseases. And the narrow specialization of doctors make it one of the best in the world. I am very grateful to the Bookimed consultants who helped me choose the Ichilov Medical Center. You really know what you pay money for! Thanks to my consultants, Ostap and Yulia for their work .. I tried to get in touch with the clinic directly, but through Bookimed I managed to organize everything quickly. You can just trust them and not worry. Help and in choosing a doctor and with housing. THANK! We really liked your Clinic. The best impression of the doctor. After receiving the tests and recommendations I'll write a more detailed review. Thank you very much for the services you provided and for your sensitive attitude. Dr. Uri Kremer is a competent specialist and a good person. Accompanying people are also friendly. In general, everything is fine, without claims. We passed the examination in the clinic in August 2017. All the procedures were completed within 3 days, including a doctor's consultation .. We were accompanied everywhere .. We were satisfied with the services, although we hoped that the cause of the illness would be clarified .. We will recommend the clinic and bukimed ..
Neurology Department at Ichilov specializes in the diagnosis and treatment of multiple sclerosis, cerebral palsy, Alzheimer's disease. The Department consists of 6 divisions: the Institute of Electromyography (EMG), the Department for Treatment of Memory Disorders, the Neuropsychological Unit, etc. Specialized centers of neuroradiology and treatment of cerebrovascular diseases work on the basis of the Department. The cost of essential tremor diagnostics at Sourasky Medical Center ranges from $2650 to $3250. The medical center offers essential tremor treatments from $28600 to $50700. The treatment cost depends on procedures required and condition complexity. The average hospital's ranking 4.4 according to 82 patients reviews. The travel arrangement takes 2 days. The medical center provides a patient with free airport-clinic transfer, paid clinic-airport transfer and translator. Submit a request on Bookimed website and get the essential tremor treatment cost in Israel and other countries. Asklepios Klinik Altona is a university hospital of Hamburg, one of the oldest medical facilities in Northern Germany. 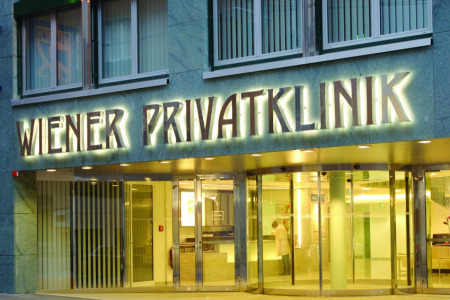 The medical center belongs to the hospitals’ group of Asklepios Kliniken. Asklepios Altona Hamburg specializes in robotic surgery, gastroenterology, abdominal surgery, neurology, and oncology specialties. 95,000 patients get treatment annually here. The Neurology Department in Anadolu Clinic (Gebze, Turkey) specializes in the treatment of the nervous system pathologies. Epilepsy, multiple sclerosis, stroke, Parkinson's and Alzheimer's diseases are treated here. The Department includes the Neurophysiology Center and the Sleep Laboratory. Electroneuromyography, encephalogram, positron emission computed tomography (PET-CT) are used to diagnose neurological diseases. Treatment of epilepsy and Parkinson's disease is carried out by the deep brain stimulation (DBS). The success of epilepsy therapy in the Department is 80%. The only inconvenience that was that the hotel where we were identified was not very comfortable, there were no towels, etc. Basically everything was fine. Many thanks to Nana and Natia, they have given us a lot of time and have always helped. In general, everything was fine, thank you very much. I express my gratitude and admiration for the highly professional assistance of the coordinator Ekaterina Kochergan in preparing and implementing the trip. All organizational issues were resolved clearly and systematically. The settlement, the transfer and the organization of the doctor's appointment were executed impeccably. Fully satisfied with the reception from a qualified doctor, a clearly diagnosed and prescribed method of treatment! Thank you all for your conscientious and professional work. Good afternoon! The level is high! Medicine yakisna! The doctor is competent! Wow live in the wards super! Coordinator bookimed helped with everything! Post on the link! Vagal neochovano prizno zdivovanі usіm. In the first dvіnka to prilotu dodomu. Everything went beskoshtovno: tickets, transfer, transport there, cross-over, accommodation and food. They paid tilki for consulting a doctor and a procedure for an MRI and analytics and so on. Dyakuyu usіm hto byv zad_yany! Thank you !!!!!!! The Department of Neurology in the Medipol Clinic (Istanbul, Turkey) specializes in the treatment of disorders of the nervous system. Alzheimer's and Parkinson's diseases, multiple sclerosis, epilepsy, cerebral embolism, headaches, and neuropathy. For the diagnosis of cognitive impairment, Medipol specialists perform neuropsychological tests. Electromyography helps to evaluate the functional conditions of muscle tissue. Doctors detect epileptic foci using PET-CT.
Neurologist prescribe patients with Parkinson's disease and epilepsy deep brain stimulation (DBS) surgery. The cost of essential tremor diagnostics at Medipol Mega Hastaneler Kompleksi starts from $820. The medical center offers essential tremor treatments from $35000 to $47900. The treatment cost depends on procedures required and condition complexity. The average hospital's ranking 4.5 according to 90 patients reviews. The travel arrangement takes 4 days. The medical center provides a patient with free airport-clinic transfer, free clinic-airport transfer and translator. Submit a request on Bookimed website and get the essential tremor treatment cost in Turkey and other countries. 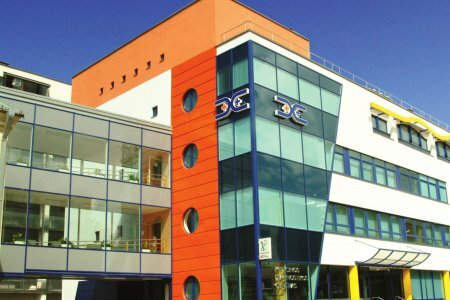 Neurology Department of the Döbling Hospital (Austria) specializes in the treatment of the nervous system, muscles, and sleep disorders. It is used to treat strokes, epilepsy, dizziness. Electroencephalography (EEG), electromyography (EMG), electroneurography (ENG) and methods for visualization (MRI or CT) are used for diagnosis. These technologies detect pathologies of the brain activity, nervous system, and muscles. The Neurology Department of Helios Hospital is one of the best in the treatment of stroke, multiple sclerosis, and Parkinson's disease according to Tagesspiegel magazine. The Department includes the neurophysiological laboratory. Neurologists perform EEG, sonography of vessels, electromyography (EMG), electroneurography (ENG) to determine the pathology of the nervous system. Specialists provide medical treatment, physiotherapy, and rehabilitation. Asklepios St. Georg Hospital is a multidisciplinary medical center in Hamburg. The Hospital works on the premisses of Asklepios Kliniken Medical Group. The Hospital specializes in the treatment of the heart, vessels, and spine diseases. St. Georg Hospital is among the TOP German medical facilities according to the Focus magazine. 87,000 patients receive the treatment annually here. Asklepios Nord is the largest multidisciplinary hospital in Hamburg. 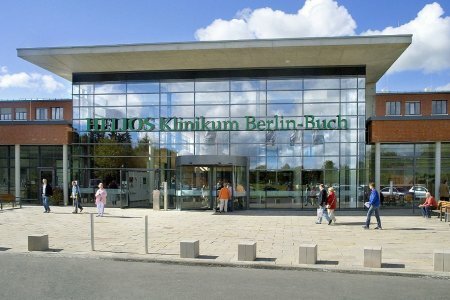 It is included in the biggest medical network in Germany — Asklepios Kliniken. Pediatrics, neurosurgery, gastroenterology, ophthalmology, maxillofacial surgery are the main specialties at Asklepios Nord. Asklepios Nord is regularly ranked among TOP hospitals in Germany for dentistry, ophthalmology, proctology. 72,000 patients receive treatment in the hospital annually. Zulekha Hospital Dubai is a private multidisciplinary medical facility that is a part of Zulekha Healthcare Group. The Hospital specializes in cardiology and heart surgery, minimally invasive surgery, orthopedics, gynecology, and childbirth. JCI certificate and Dubai Quality Award prove the high quality of medical services of the Hospital. International patients from Germany, India, Pakistan, and Nigeria choose this Clinic. I am excessively satisfied with the professional doctors, who know their job on the highest level . You are the best , punctual, orderly and what is the most important - professionals of your business! Memorial Hospital Bahçelievler (Memorial Bahçelievler Hastanesi) is a multidisciplinary medical center in Istanbul with an eco-friendly design. There are a lot of green areas on the hospital territory, which contribute to patients’ psychological comfort and their speedy recovery. The medical facility specializes in cardiovascular surgery, orthopedics, urology, gynecology, general and robotic surgery. I liked everything very much, they tried to help us, and solved the problems very quickly and efficiently. Thank you for the service. The Neurology Department specializes in the therapy of multiple sclerosis, meningitis, Parkinson's disease, dementia. It is a certified center for the treatment of stroke. There is also a Rehabilitation Center. Patients are consulted by specialists from the Departments of Physiotherapy and Neuropsychology. Quiron Barcelona Hospital is one of the leading clinics in Spain, strong suit of which is The Baselga Institute of Oncology. It makes progressive cancer researches in cooperation with American oncological centers. The clinic involves the latest equipment and the most experienced doctors in Spain. Diagnostic and therapeutic manipulations here combine maximum accuracy and efficiency and the personnel are ready to satisfy needs even of the most demanding patients. 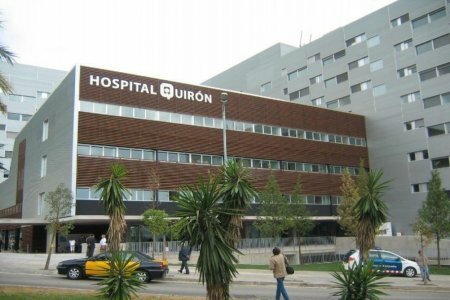 Quiron Madrid Hospital is one of the best clinics in Spain which is a part of the holding QuironSalud. This network takes 1st and 3rd places respectively in the number of clinics in Spain and Europe. Quiron Madrid uses the most innovative equipment. Its personnel consist exclusively of professionals many of whom are recognized around the world. The main task for the leadership of the clinic is to ensure the maximum treatment efficiency and comfort for every patient. The Neurology Department of Memorial Clinic (Istanbul, Turkey) specializes in the treatment of Parkinsonism, Alzheimer's disease, epilepsy, migraine, insomnia. Neurologists provide diagnostics using CT, angiography, electroencephalography. Doctors offer medication or surgical method for the treatment. Patients with epilepsy and Parkinson's disease undergo deep brain stimulation (DBS). 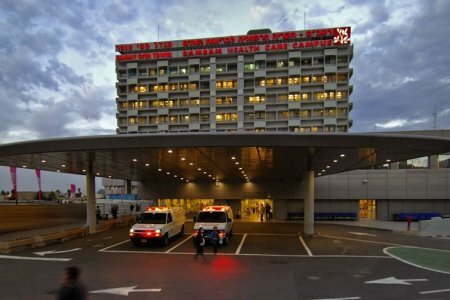 Rambam Hospital is one of the greatest medical centers in Israel. Thousands of international patients visit the medical center every year. It offers more than 1,000 beds for inpatients. It is necessary to mention that the Rambam medical team includes leading Israeli specialists – professors and doctors, some of whom were even awarded the Nobel Prize. Up-to-date equipment and advanced technologies allow these high-level specialists to refine and develop in various realms of medicine. The medical center offers essential tremor treatments from $32000 to $100000. The treatment cost depends on procedures required and condition complexity. The average hospital's ranking 5 according to 3 patients reviews. 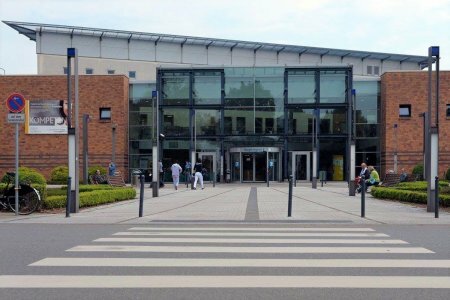 This hospital is typically chosen by patients from United Kingdom. The travel arrangement takes 4 days. The medical center provides a patient with free airport-clinic transfer, paid clinic-airport transfer and translator. Submit a request on Bookimed website and get the essential tremor treatment cost in Israel and other countries. We were at the Memorial clinic in Ataşehir on April 1, 2019. In the clinic we were well met by the translator Olga. The clinic immediately took us to the doctor J. Demirel. We liked the clinic. The clinic passed all tests said the 20-day results will be ready while waiting for the results. Satisfied with the consultation, confirmed what was expected. I was satisfied, we are going to go to Spain for treatment.